Fleeting Youth Records like to dabble in the strange, and today they might have just outdone themselves. 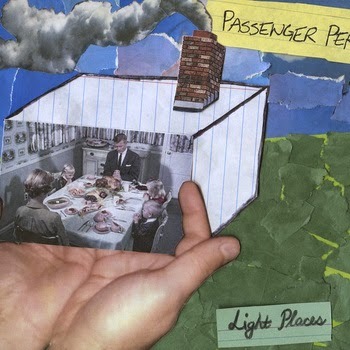 Passenger Peru are a duo from New York, and in the midst of preparing their new album Light Places, they have released The Best Way To Drown as a free download which is pretty cool. Personally I find the best way to drown is to not drown, but that’s just my opinion. The Best Way To Drown is a track that sticks to making sure it throws out as many people as possible by performing three thick blocks of music that have no right being performed together, but somehow manage to sound good together. There’s the rolling thunder of guitars that produces an intro that could turn even the sunniest of days into a sinister moment, then the brilliant riff that comes at full force with the backup of drums and bass to break up the rolling guitars but also build some more sinister atmosphere into the mix as if it needed it. But the most perplexing section of the track is the anthemic, dreamy and harmonic parts which features some high noted vocals and something that resembles a pretty accessible indie song. It’s so weird against the other sections that it’s hard to realise that it sounds great. What’s fantastic is that Passenger Peru turns this broken, off-kilter track into an anthem towards the end with the dreaminess and harmonic beauty taking over the hellish beginning and creating a really nice close to the track. The Best Way To Drown is certainly something else, and it’s brilliant for that. Grab your free download of the track here, and for more music reviews, free downloads and the weirdest music around then check out Exploding Head Syndrome on Facebook and Twitter.